← I’m like Hansel and Gretel, but I substitute breadcrumbs with confused Koreans. I figured out why the guy at the convenience store was so confused when I was trying to buy my T-money card when I first got here. Apparently I was asking him if I could rent a T-money card. 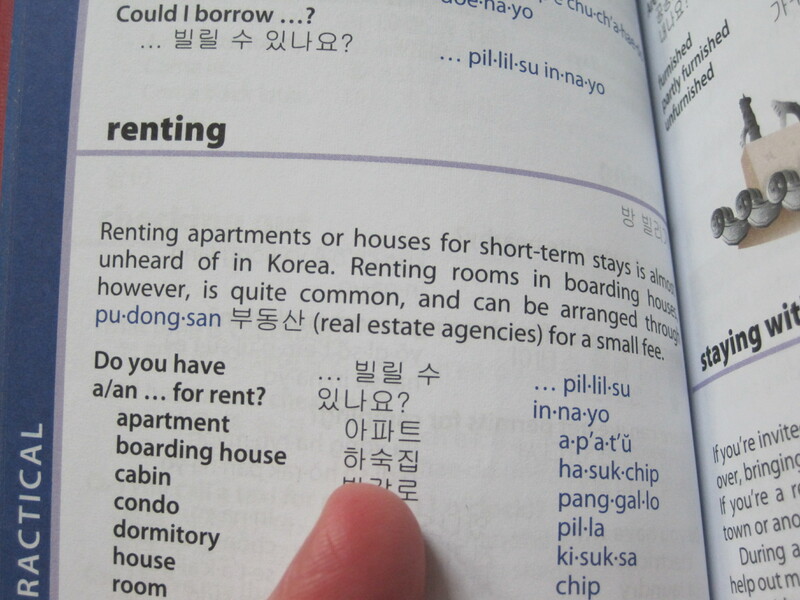 “Do you have,” is right beside “for rent” in the phrasebook. Huh. I really have no idea how I ended up on entirely the wrong page. Oops. And last, but certainly not least, I got some glamour shots done. Well, actually, I got some small photos taken for my Alien Registration Card and the guy who took the photos threw these in. 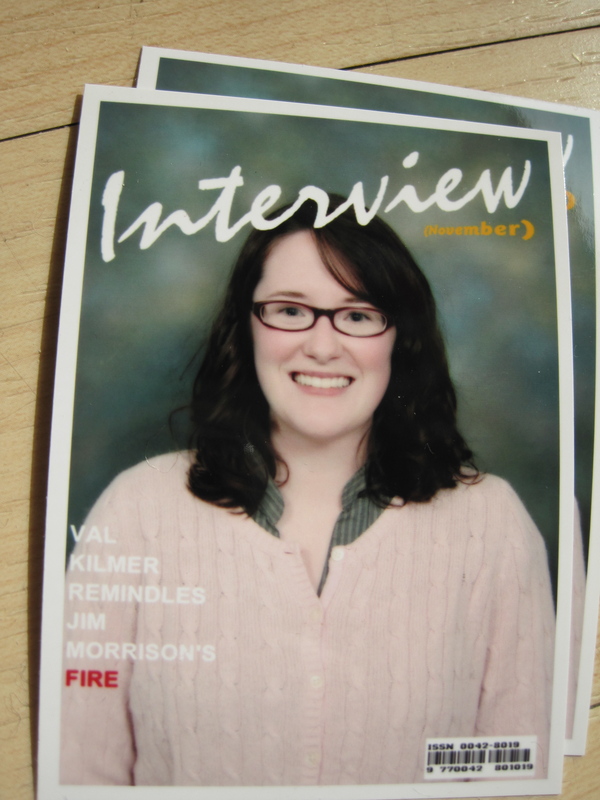 You can’t see it very well from this shot, but I’m on the cover of the Val Kilmer issue. The Republic of Korea: where dreams come true. Also, I give in. Kpop is horrible and hilarious and awesome, all wrapped into one choreographed package. Oh my god I have a secret love of kpop! So fun. 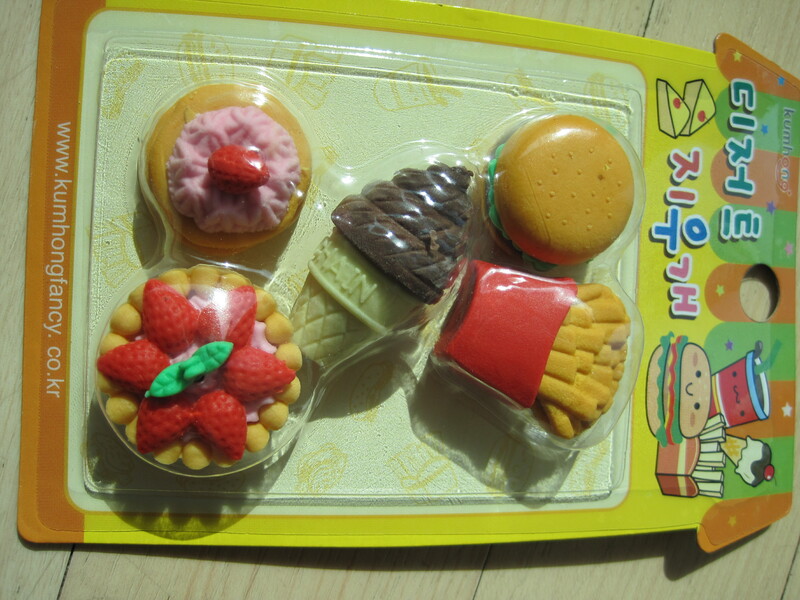 I should have mentioned that Korea has probably the best school/craft supplies out there. I ordered gifts from a Korean etsy supply site this Christmas and everything I got was cuter then anything I had seen over here, it was very hard to give it away. So jealous!